Staying true to its promise, HMD Global has managed to deliver the latest Android software updates to all its current Nokia smartphones with the last one on the list being the Nokia 2. Launched in India back in October, the Nokia 2 is now receiving Android 8.1 Oreo in beta as part of the Nokia Beta Labs. The phone was launched with Android 7.1 Nougat and HMD had promised the Oreo update soon. 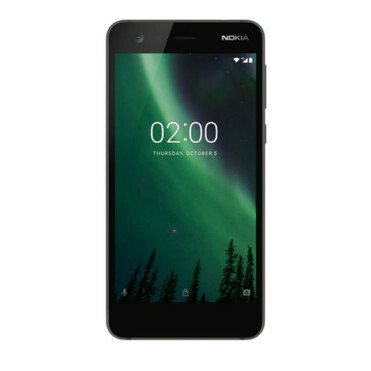 HMD Global chief Juho Sarvikas announced via Twitter that the Nokia 2 has joined the Nokia Beta Labs and beta testers will be able to install the latest Android 8.1 Oreo update on the Nokia 2. Notably, HMD is skipping the Android 8.0 Oreo update and jumping straight to Android 8.1. Nokia 2 users can register themselves to install the Android 8.1 Oreo beta update by heading over to the Nokia Beta Labs page. HMD has promised that all phones launched since last year will be receive Android P update. The Nokia 1 and Nokia 2.1 Android Go phones will also receive relevant Android P (Go edition) updates at a future date. The Nokia 2 was HMD’s most affordable Nokia smartphone before the Nokia 1 was launched this year. While not an Android Go phone like the refreshed Nokia 2.1, last year’s Nokia 2 phone came with entry-level specs such as a 5-inch HD display and a Qualcomm Snapdragon 212 chipset along with 1GB of RAM and 8GB of internal storage.